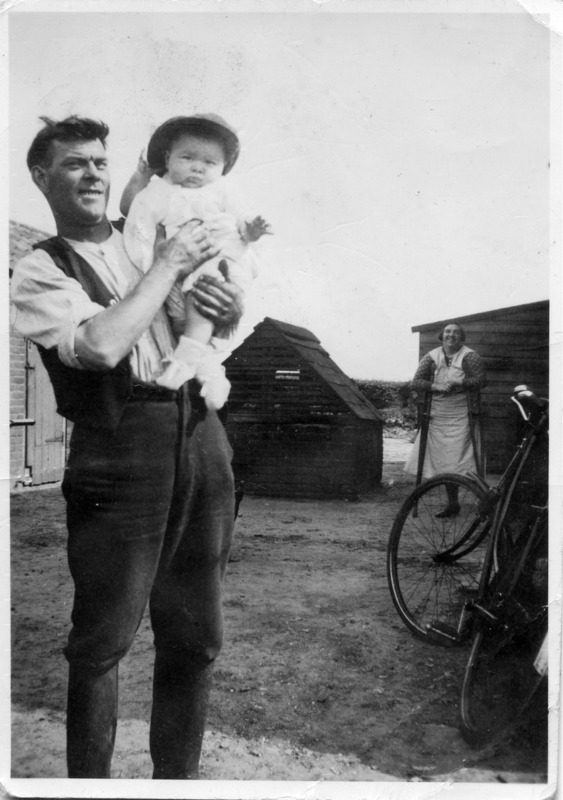 Sarah most likely met young George Key through trade links from her late father, Richard Goffen, who is recorded on census as a master carpenter of Reedham. He was also recorded as an inn keeper or publican at a pub that was called the Brick Kiln at Reedham, close to the river. 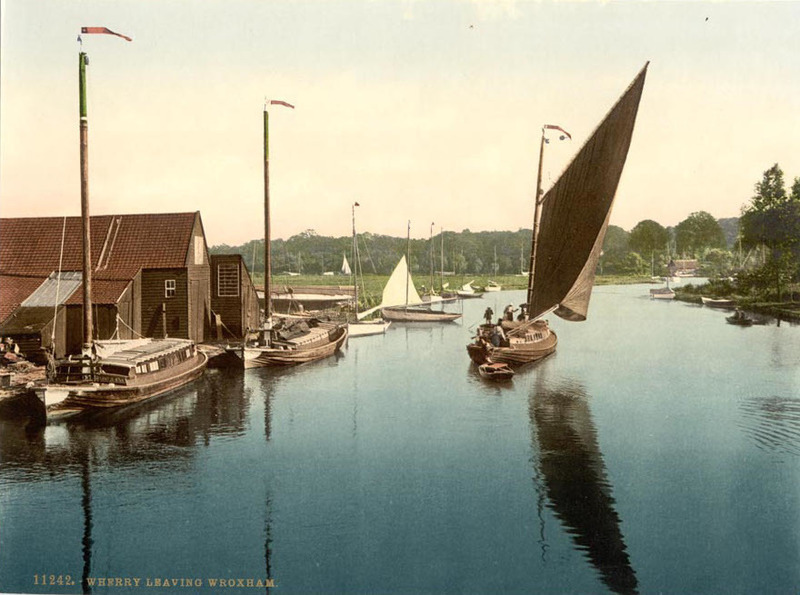 Reedham was an important river side parish along the River Yare. 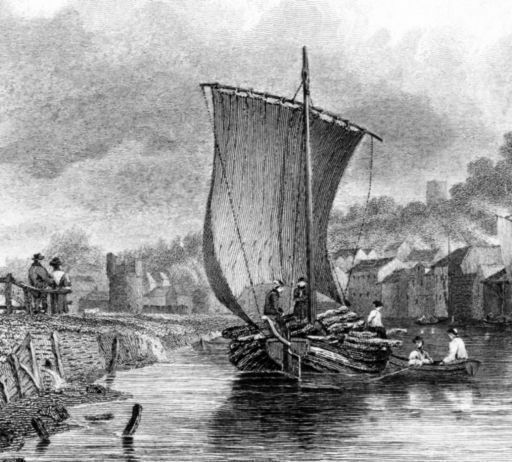 The river connected the medieval City of Norwich to the North Sea via Great Yarmouth. Rich pastures lay to the east of the village on the marshes of the Halvergate Triangle, which with Breydon water, once formed a great sea estuary. A ferry crossed the strong tidal waters of Reedham. Then from the early 18th Century, a newer series of vessel designs started to take over on the lowland waterways of the Norfolk Broads, that featured a high-peaked sail with the mast stepped well forward. They corresponded with a great age of Norfolk windmills and wind pumps. The classic Norfolk wherry. The men that sailed them were often regarded as a particular breed. They lived on the waterways, in small cabins fitted with a stove. Moving cargoes and in some cases, passengers, between Norwich and the port of Great Yarmouth. In 1833, a new canal named the Haddiscoe Cut, was opened up near to Reedham, that also allowed vessels to trade to Lowestoft in Suffolk. The watermen carried cargoes of coal, timber, lime, chalk, cement, ale, grain, and other goods up and down the waterways of East Norfolk. My ancestor, Richard Goffen was a riverside carpenter and inn keeper at Reedham, and almost certainly was involved with this trade. I've suspected that for a while, but now I can see just how deeply his family were involved. 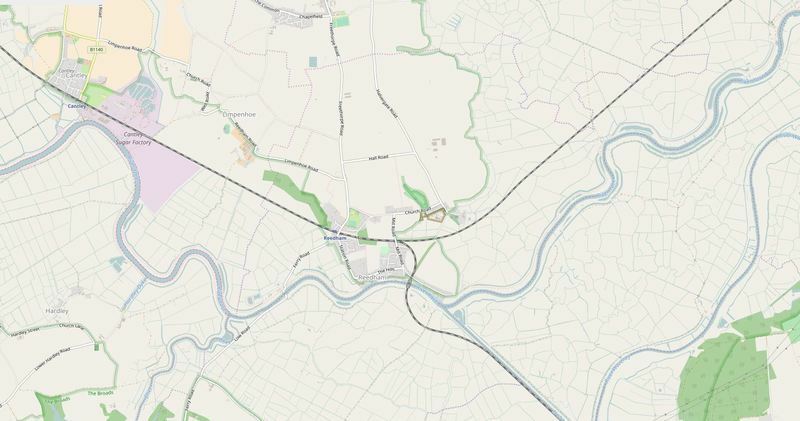 A census records that two of his brothers, Edward Goffen born at Reedham in 1793, and John Goffen born there ten years later were both indeed, watermen, with John specifically recorded as a Wherryman. Brother Edward Goffen was also an inn keeper at another riverside Reedham pub, the Lord Nelson. The whole family appear to have been involved with river trade, with a fourth brother, James Goffen born at Reedham in 1806 being recorded as a lime burner and coal merchant. Without a doubt his coal, chalk, and lime were being transported along the river, possibly by his brothers. As a family, they appear to have been particularly successful in this trade. Wherries were being built at Reedham, and I suspect that our ancestor may have been involved as a carpenter in the boat building trade. All four Goffen brothers were born at Reedham, to Richard and Judith Goffen (nee Shepherd). Richard the senior was most likely born at nearby Strumpshaw in 1731. I have no record of his occupation, but I wonder if he was also involved in the river trade, that inspired his four sons. Marriage of Richard Goffen (senior) to Judith Shepherd at Reedham in 1793. This was his second marriage, after his previous wife Ann (nee Mingay) passed away. Their son, Richard Goffen (junior) also married twice. I believe that his first wife was one Elizabeth Scarll, who he married at nearby Cantley in 1821. 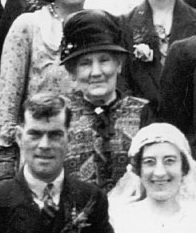 In 1843, he married our ancestor Elizabeth Nicholls, who then at the age of 21, was no less than 27 years his junior. This didn't stop them having seven children between then and 1860. Clearly his trade supported him well at the Brick Kiln inn. Richard (junior) died in 1861. Elizabeth went on to marry again, this time to a Matthew Bush of Freethorpe. That's my family link to the classic icon of the Norfolk Broads. The Norfolk Wherry. Hello Cousin Mike! if you want to contact me, do so via edwardsdad@yahoo.co.uk. I've actually had a recent breakthrough on the Goffen line, if you want to compare notes anytime.